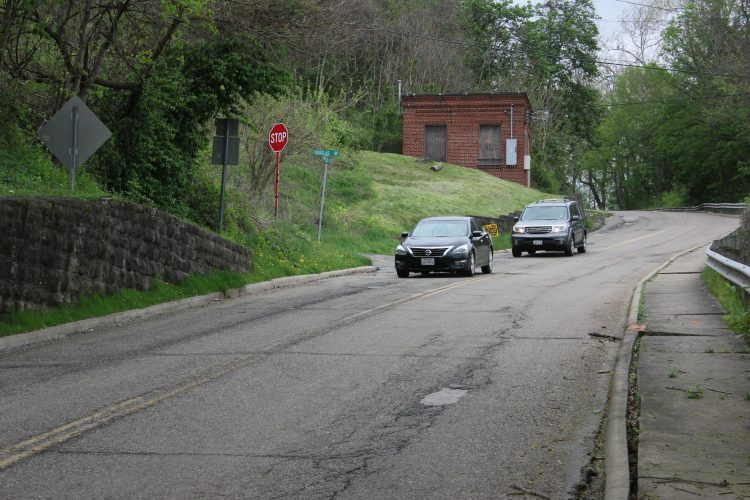 The firm slated to perform a traffic impact study surrounding Butler Street has been selected. 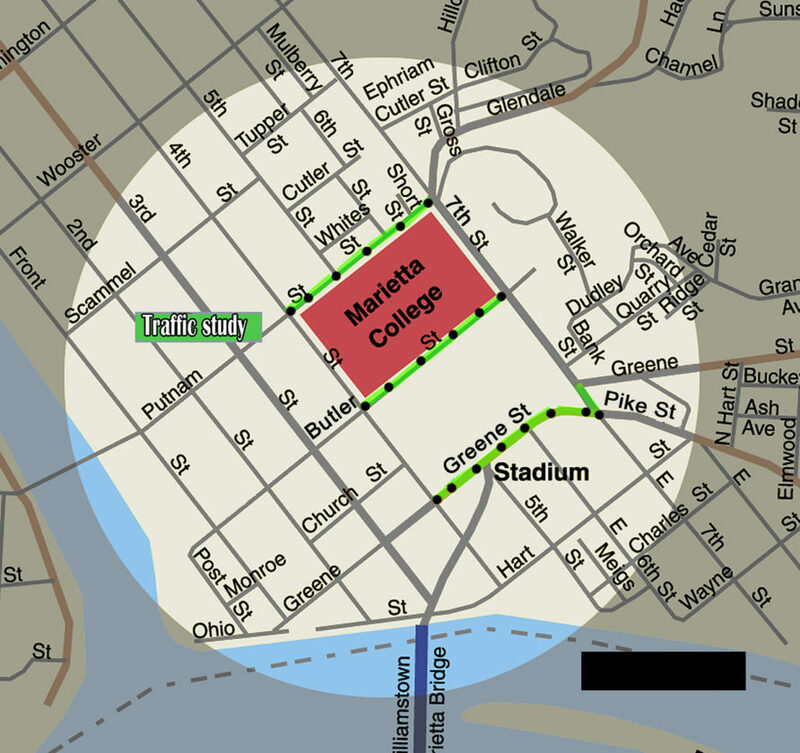 Marietta College proposed to Marietta City Council earlier this year an idea to close Butler Street between Seventh and Fourth streets so the college can upgrade buildings and build a new student union/community building on campus. 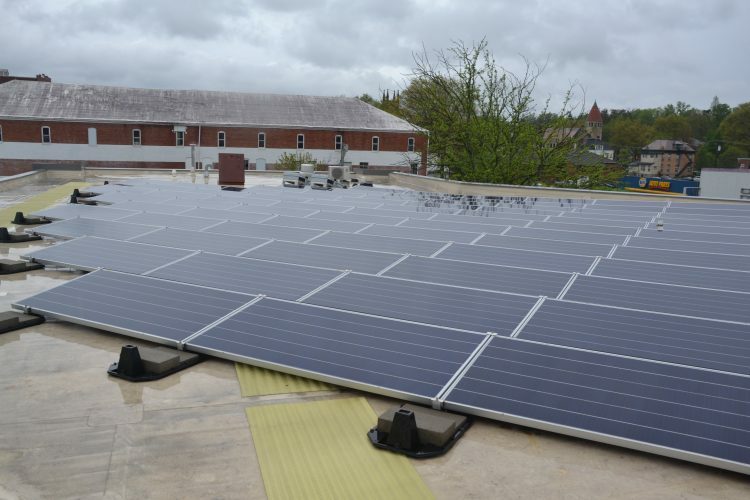 The college is in a planning phase right now for potential improvements to the campus. Before a decision can be made, a traffic study is planned for the street. City Engineer Joe Tucker, Councilwoman Kathy Downer, Traffic Commission Chairwoman Willa O’Neill and Marietta College Director of Physical Plant Fred Smith sit on the committee which selected the firm TEC Engineering, out of Mason, on Thursday. Tucker said nine firms submitted letters of interest and qualifications, similar to a cover letter and resume submission for job postings. Tucker then outlined what he called an aggressive schedule for what’s next. ¯ Thursday: City and Marietta College personnel will meet with TEC to discuss and finalize a scope of services. ¯ Friday: A proposal with the final scope of services and fees will be due. ¯ Oct. 24: Marietta City Council’s Streets Committee will review a contract with TEC and the public is welcome to comment at this meeting to be held at 4:15 p.m. in room 10 of the Armory. ¯ Nov. 1: Formal council meeting to authorize a contract for the impact study. ¯ Nov. 2. Notice to proceed. ¯ Nov. 5. TEC sub-contractor mobilizes with data gathering portion of the study. Tucker said in that data-gathering stage traffic counts will be noted not only along Butler Street, but the entire square four blocks from Greene Street to Seventh Street, Seventh to Putnam, Putnam to Third and Third to Greene. Then tentatively in mid-January, Tucker would expect to see the results of the study, with a presentation identifying impacts and potential risks. “That’s not where this ends though. At that point once they’ve identified any potential negative impacts, I’ll then turn to them seeking options for mitigating them,” he explained.